very very nice rondo!!! with a special character i have not ever heard yet.the technical aspects and music are running to gather. The composer has delivered another success, this time in a large scale form. 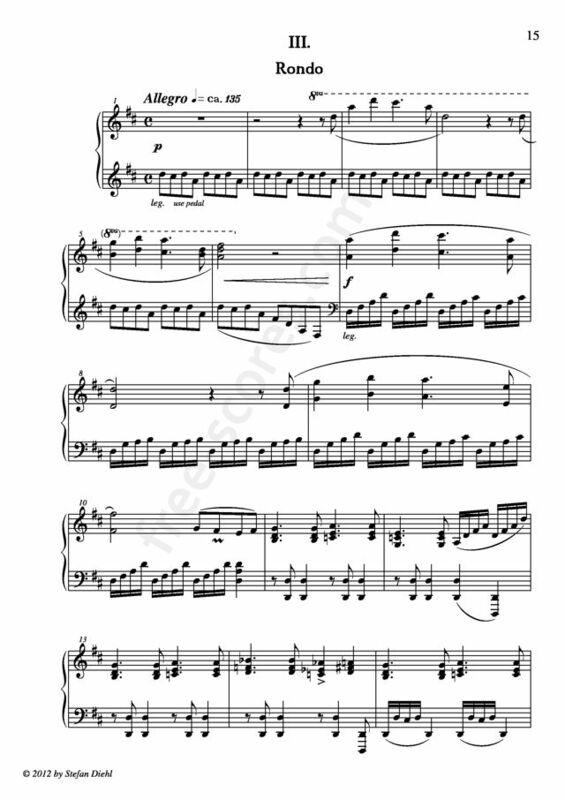 Masterful coloration, tuneful, and thoroughly engaging with delightful harmonic twists, this Sonata is a brilliant example of modern pianistic writing, yet retains Romantic qualities that give a nod to the great piano composers. Bravo, Stefan! Bravo!